How much are you willing to lose for a game? Former football player and wrestler Chris Nowinski's quest to publicize recent findings about the often dire consequences of head concussions sustained by athletes in contact sports — injuries that have previously been considered momentary setbacks and ignored in the name of toughness and dedication to the team. Winning the final game of the season and being crowned champion after an illustrious career is the dream of every athlete and coach. It is accomplished by very few. After 30 years behind the bench, the final nine in Hockeytown, Scotty Bowman skates off the ice one final time with the Stanley Cup raised triumphantly. 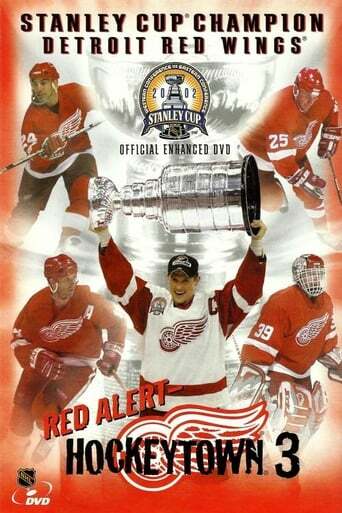 Red Alert: Hockeytown 3 chronicles Detroit's incredible regular season and dramatic playoff run culminating with Bowman's record-setting 9th Stanley Cup win along with first-time Cup lifters Dominik Hasek, Luc Robitaille, and Steve Duchesne. "Let 'em see Red," proclaimed Red Wings fans throughout the playoffs. When captain Steve Yzerman hoisted Lord Stanley's Cup for the 3rd time in six years, 29 other NFL clubs were green with envy as Detroit showered hockey's Holy Grail in Red and White. Now, the Winged Wheel faithful can relish another Stanley Cup Championship season with exclusive interviews and footage only available in Red Alert: Hockeytown 3.